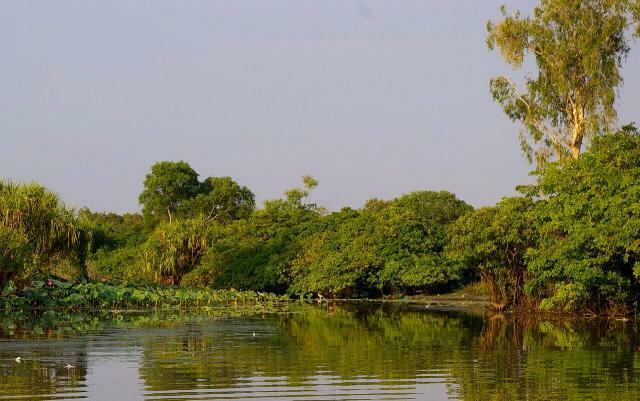 The location for this short fishing trip was Corroboree Billabong in the Northern Territory. Being under an hour and a half drive from Darwin, visiting this billabong is worth every minute of the drive. 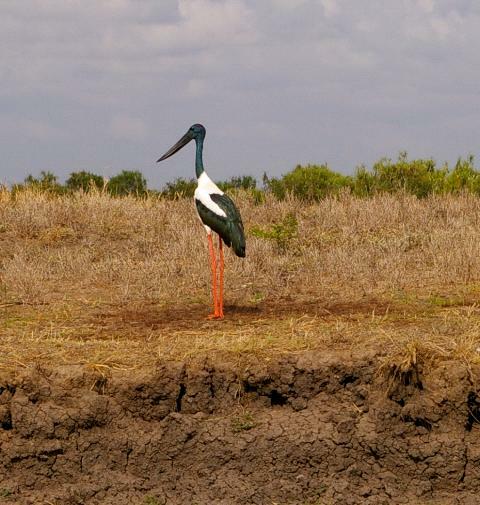 Before you even launch the boat, the beauty of this place is immediately striking with an abundance of wildlife from Jabiru birds through to some huge saltwater crocodiles. The target (as with most of my fishing in the Northern Territory) was Barramundi and the day ended up producing four nice size Barramundi. 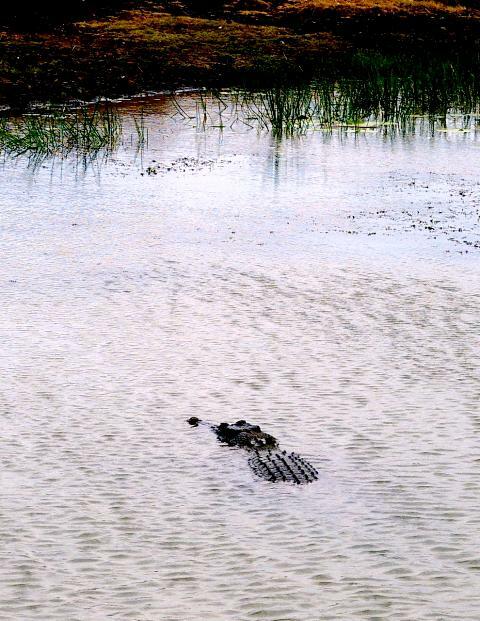 The billabong offers more than just Barramundi with a decent supply of Saratoga and Tarpon as well. This makes it quite popular for fly fisherman during the drier months from March to September. 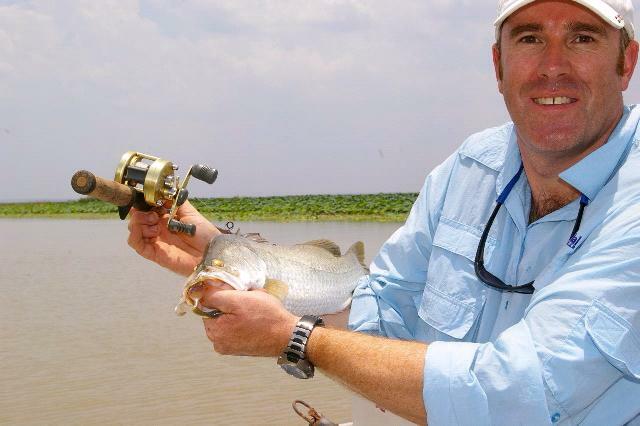 The best advice for those venturing to Corroboree Billabong for the first time is to target the snags when trolling or casting, and to take the right selection of lures. Seeing as this is a fishing website, I'll expand a little on both. The lilly line right opposite the boat ramp is one of the most under rated parts of the billabong with most people heading straight for the upper reaches after launching. I'd recommend a few passes by the lilly line trolling about a meter and a half out from the actual lilies. Anywhere there are lilies at this billabong, there are likely to be Barramundi waiting behind them. To that end, no trip to this location is complete without dropping the odd soft plastic lure down behind the lilies. If this doesn't produce a Barramundi, it is highly likely to produce a Saratoga. In terms of lures, the Riedy's range of lures seem to work extremely well at Corroboree Billabong (noting that this website does not have any affiliations with any particular lure manufacturers). The Riedy's River Rats seem to be a consistently good lure particularly in the brighter colors. On the soft plastic front, I had great success on the 100mm Squidgy Drop Bears. The only downside to the soft plastic strategy is that Saratoga seem to destroy these lures at a great rate! This was a great day on the water, no special tricks, just the lures and tactics described in this article. This location is popular amongst fishing charter operators on the Northern Territory and several of the companies listed on Fishing Charters Base www.fishingcharterbase.com provide one day fishing charters out of Darwin, to this great location. Tight lines!